I recently became ill and needed surgery. My daughter works at Johns Hopkins and wanted me to go there because of a group of doctors who specialized with my illness. We were welcomed to stay at my daughters, but our dog did not get along with her dog. We ha stayed many times at Ft Meade. We went there when they first opened. It was closest to the hospital. My husband trird to make reservations there twice during my testing, but they were full. We had to make the 2.5 hour trip in a day. With hours of testing and knowing our dog was alone it was very hard on all of us. I had a date to go back for more testing and the next day my husband called Ft Mesde. It was in 3 weeks we would need a site. again they had nothing . We were able to get a primitive site at Annapolis Naval Academy that I was very grateful for. There aren’t any private campgrounds close to Baltimore or we would of went there. We were able to get a site at Ft Meade for my 8 week checkup. I could see that some things don’t change. of the sites were taken by people who should of been in military housing. It had a trailer park feel. There were homemade patios, sheds, lawn furniture and bikes everywhere. The very nice RV Park had really changed. The day we were scheduled to come in we were told we would stay at one site and have to move the next. My husband looked at the site, and said know one was out moving stuff. He said here was no way he would be Anne to move his things in 2 hours. My husband went to the office with his concerns. He had a very rude women with a so what attitude. Another women stepped in to help, she said she would call the people and remind them they had to move. Well, we found out the people seemed to pull a fast one. We were put in another site and the people who were to move never moved. People who have settled in to make Camp Meade there home found away to get around moving day. This was going on years ago. To our amazement thee was a RV there since we were there 4 years ago. We loved stopping at The Fam camps, but was finding it harder and harder to get a site. Forget about FL. One place we loved and went to when they first opened was the submarine base in Georgia. We always stooped there on our way to and from Fl. I just read about your membership increasing daily. I think the baby boomers found a great lifetime in Rving. The private park we stayed at in FL is always full, when we started to go there they never were fully booked. I loved traveling but would never go back,because our expierence st the fam camp at Ft Meade reminded us about the hazards of the RV life. We found more and more military RV parks filling up with homesteaders and the private parks raising there fees. I’m wondering if any longtime Rvers have noticed the same? I also would be interested to know if anyone has had a problem with Ft Meade? Am I imagining this? 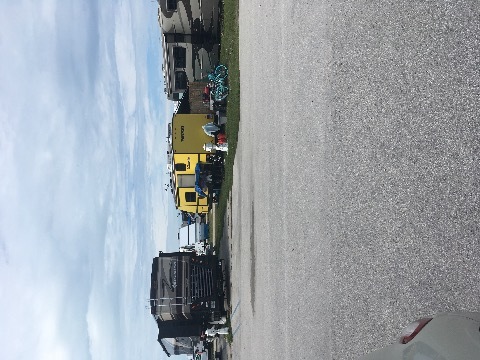 “Homesteaders” at military RV parks is something commanders and MWR seem to have turned a blind eye to. I’ve all but quit using military RV parks, since most are now trailer parks. There is no place for those of us who want a space for a couple of weeks to stay. I don't think commanders and MWR have turned a blind eye. I think they have intentionally accepted homesteaders and contractors in favor of the guaranteed revenue. In some ways I can understand them wanting to keep the revenue up but it completely negates the intent of having "recreational" campgrounds. They should just call them what they are.....residential trailer parks. Like see all base campgrounds restore some discipline in aspects of political correctness and quit pandering to bratty.dependants, hold sponsors responsible for their bratty dependents conduct. Also enough of the trashy homesteaders looking like they’ve been there yrs on end? This is “rock pile” at NASKW where there is rotation every two weeks, does it look like they’ve been there less than two weeks? There are 279 listings and 10273 reviews.